Throughout history, humankind has sought relief from the workday through relaxation and fellowship. For centuries, one of the most refreshing and healthy ways of combining the two has traditionally been through the utilization of the spa. From ancient communal baths to modern, jetted tubs, the healing power of water has been harnessed to relieve stress and provide a setting for relaxed interaction and renewal. 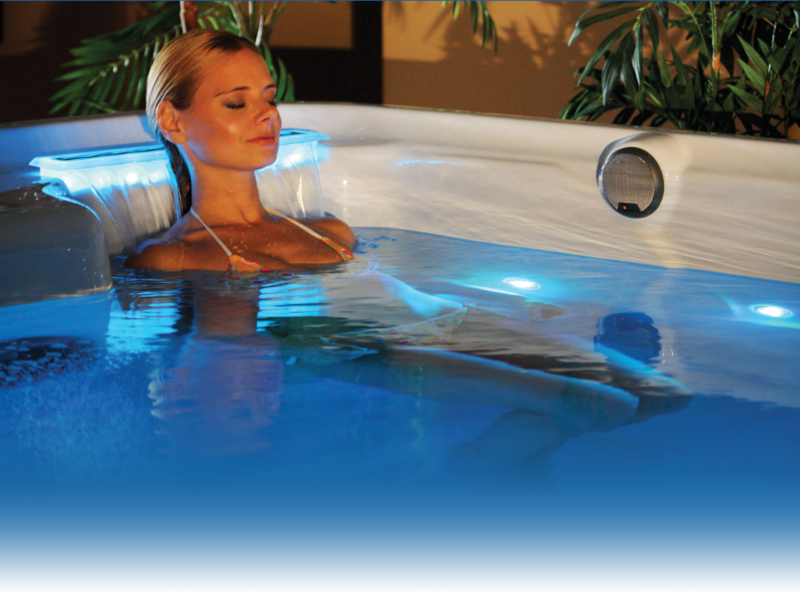 You can be assured that the moments of relaxation you spend in your Artesian spa will be matched by the knowledge that you purchased the finest home hydrotherapy product available on the market. Heat dilates the blood vessels and increases circulation in the body. This enables enzymes and endorphins (the body’s national pain relievers) to work more rapidly and efficiently on areas of the body, such as muscles and joints that have been strained, injured or stressed. Heat also enables the cells to more easily rid themselves of metabolic waste, which is replaced by oxygen and the body’s natural nutrients. Hydrotherapy has been proven to be especially effective in reducing the pain of arthritis, tendonitis / bursitis and inflammation resulting from sports injuries and overexertion. The moist heath is extremely beneficially to those suffering from respiratory ailments, such as congestion, chronic bronchitis and asthma. Increased circulation derived from hydro-massage improves digestive processes; waste and metabolic by-products are more easily eliminated, and lymph is moved more efficiently through the body, strengthening the immune system. With hydrotherapy, it isn’t simply a matter of grabbing a relaxing few minutes that are over as soon as you climb out of the spa; you get an experience that will have far-reaching effects on the quality of your life. Rarely do health and pleasure come together like they do in an Artesian spa. While many may think of hydrotherapy tubs as a luxury item, reserved for those that have the means to enjoy the fine life, for others a hydrotherapy tub is an indispensable part of making it through the day. The scientifically proven benefits associated with regular therapeutic hot tub use are beyond dispute and even prescribed by doctors for treatment specific ailments. Aliments such as stress, arthritic pain, fibromyalgia, restless sleep, and type 2 diabetes, have all been treated with hydrotherapy. HYDRO-MASSAGE IS GREAT STRESS RELIEF. Regular hydrotherapy can help relieve symptoms of arthritis. The heat from water relaxes the body and increases blood flow. The powerful massage jets loosen muscle tension and soothes sore joints. The buoyancy of the water makes you feel lighter since up to 90% of your body weight is lifted. While heat brings up the body’s internal temperature, the cooling off induces natural relaxation. Unlike the use of medications and prescription sleep aids, the circulation and warmth of an Artesian spa encourages the body to unwind and relax on its own, leading to a more restful sleep. Relaxing before you attempt to fall asleep is key to improving your chances of falling asleep and staying asleep. 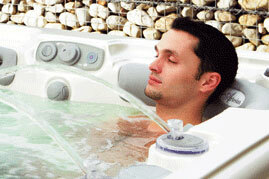 Hydrotherapy helps ease tension, helping you to relax. Heat loosens muscle constriction and increases blood flow, helping to relieve pain and encouraging your muscles to become loose. A recent study in the New England Journal of Medicine shows that sufferers of Type 2 Diabetes can benefit from regular use of a spa. Most diabetics are unable to endure rigorous activity and have difficulty with weight and circulation. The study revealed that sufferers experienced a significant decrease in blood sugar levels and improved sleep after spending 30 minutes a day in a spa. For those who live with the daily discomfort and inconvenience of diabetes, an Artesian spa can be the doorway to a fuller, more enjoyable life.